In India, the needs and desires of small car buyers remain underserved with most products that fulfill the sole purpose of commuting. Not much importance has been given to a car’s looks, the number of features it offers or even its maintenance costs over the long run. 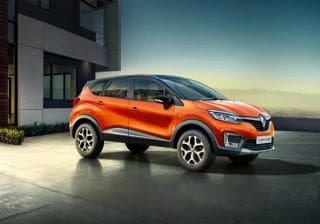 Fortunately, the Renault Kwid has revolutionised the segment with its modern, SUV-like styling; spacious interior and a list of features that could put to shame even some more expensive cars. That’s the reason why the Renault Kwid family has grown to 2.5 lakh happy customers since its launch in India. Besides, did you know that the Kwid is actually cheaper to maintain than its less equipped, popular rival? Scroll down to compare the service costs for yourself. Let’s see in what other ways the Renault Kwid 0.8L makes for a better, more sensible pick. Indians, like people around the world, love their SUVs. In fact, the Kwid’s SUV-esque design is the first thing that catches your attention. The car appears rugged with black rub rails on the sides and black cladding at the front and rear. And it’s not just looks that make this car rugged, the higher ground clearance of 180mm makes it the most practical car in the country. It can take on potholes and uneven speed breakers with ease - something that is so essential for our kind of roads. There is no other car in this segment that gives you that big-car feel as much as the Kwid does. With the 2018 update, the Kwid has raised the bar among small cars even further. It now gets standard emergency locking retractor (ELR) for the rear seatbelts, which helps prevent passengers from being pushed forward in case of sudden braking. Additionally, the RXL variant now gets front power windows, remote central locking, fog lamps and full wheel covers too. Moreover, the mid-variant RXT (O) gets a dose of chrome on the front grille and gear knob. Besides, it also gets a 12V charging socket for rear passengers and a rear parking camera as well. 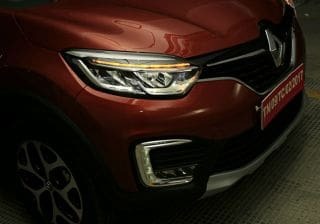 Apart from this, the Kwid also comes with a segment-first touchscreen mediaNAV system, digital instrument cluster and a host of other features. 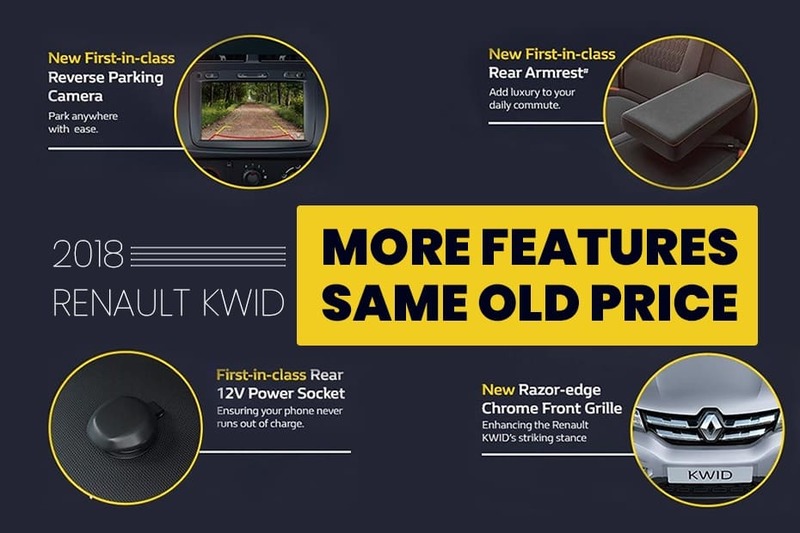 Best of all, the 2018 Renault Kwid’s additional features are offered at the same price as the pre-facelift model. 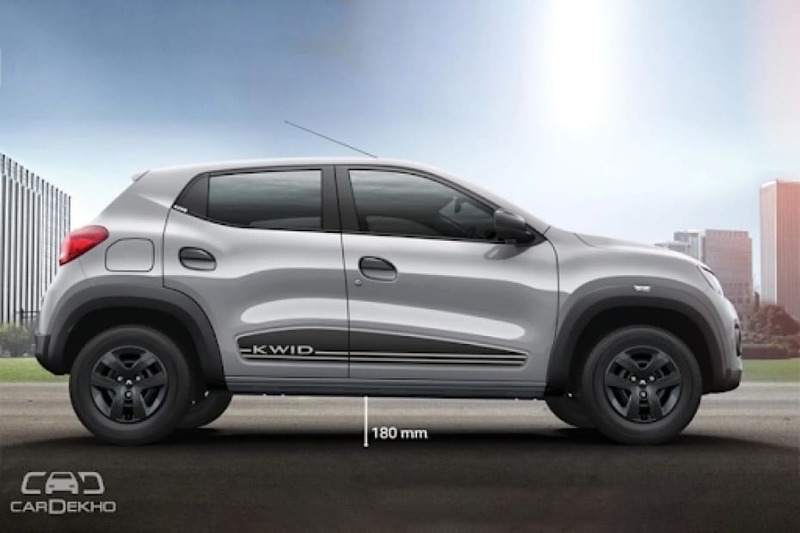 The Kwid’s 0.8-litre petrol engine produces a healthy 54PS of power and 72Nm of peak torque. The 5-speed manual gearbox makes is a breeze to use in city traffic and even the occasional highway runs. It is also more powerful than the Alto 800, whose 800cc engine puts out 47PS of power and 69Nm of torque. The icing on the cake? The Kwid has an ARAI-certified mileage of 22.7kmpl, making it the most fuel efficient petrol hatchback in its segment! Unlike its rivals, the Renault Kwid is spacious; three people can sit comfortably at the back. There’s enough shoulder-, knee- and legroom for both front and rear passengers. Even the cushioning is rightly balanced between the softer and stiffer combination. The large glass area and higher riding position makes the cabin appear airy while also offering a comfortable view of the road. The biggest USP of the Kwid, though, is its massive 300-litre boot, which can be further extended to 1,115 litres by folding the rear seats. The Kwid’s boot space is bigger than most hatchbacks from a segment above, including the Maruti Suzuki Swift (268 litres) and the Hyundai Elite i20 (285 litres). The Renault Kwid is not only good to look at, it’s easy to maintain as well. What many would not know is that the Kwid’s spare parts are actually more affordable than its direct rival. Both the Renault Kwid 0.8L and the Alto 800 have a maintenance schedule of 10,000km/1-year. But one look at the table below and you’ll know which of the two is cheaper to maintain in the long run. During the first five years, you save over Rs 4,000 vis-a-vis its peer. Think of it this way - the money you save can then be used to accessorise your Renault Kwid! What’s more? You get a strong resale value and an unmatched 4-year warranty on the Renault hatchback. The savings are not limited to its price and low maintenance cost. It also has a better-than-average rate of depreciation among its rivals. In fact, the Kwid’s depreciation rate is even better than hatchbacks from a segment above. It has even has won an award by Mahindra First Choice IBB as ‘Best Resale Value Car’ in the entry-level segment. Hence, the Kwid assures you better returns when you plan to sell your car. 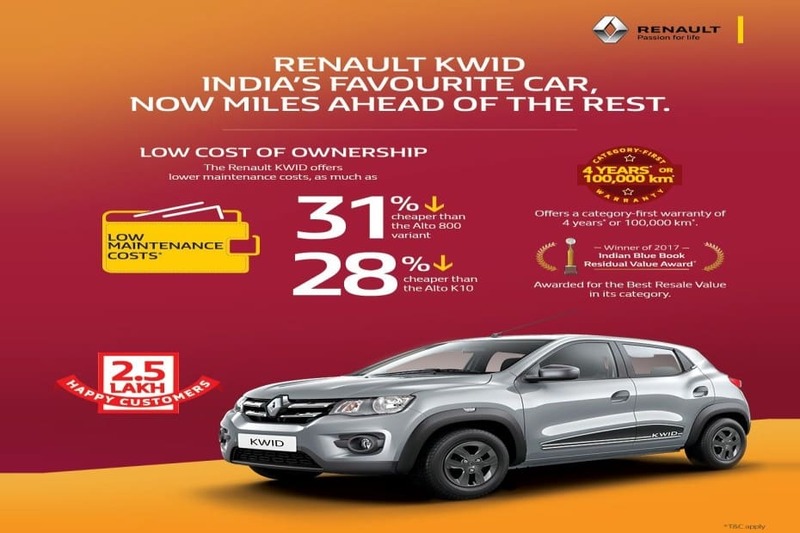 Getting your Kwid serviced is also a hassle-free affair thanks to Renault’s widespread network comprising of 270+ dealership outlets aside from innovative mobile service vans, which further extends its reach to over 350 cities. What adds to the peace of mind of Kwid owners is the category-first warranty of 4 years or 1 lakh kilometres. 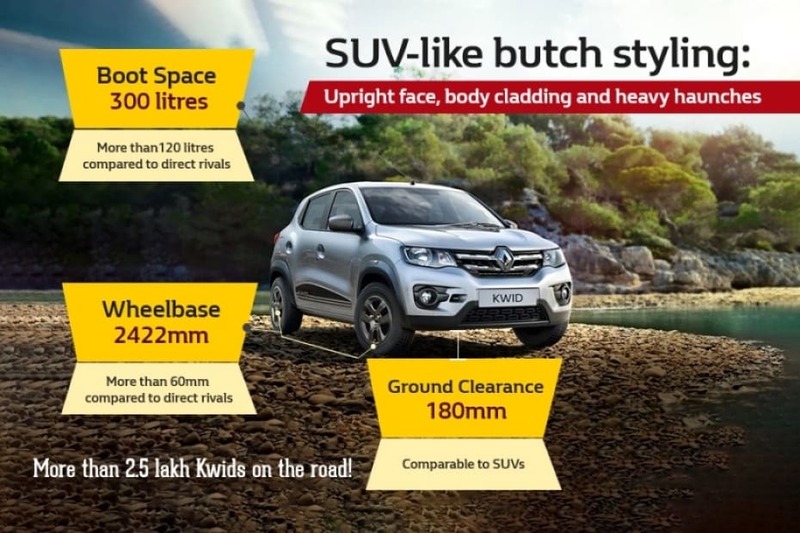 To sum up, the Kwid manages to better its rival at several levels - you get that big-car feel, a spacious cabin, powerful yet fuel-efficient engine, class-leading boot space and a ground clearance comparable to SUVs. And while prices of the Kwid 0.8L start at Rs 2.67 lakh, which is roughly the same as its rival, it ends up offering so much more. 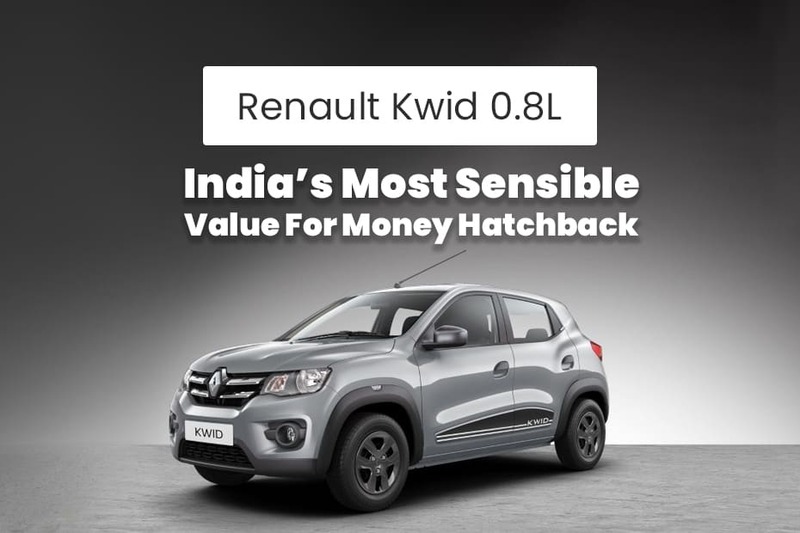 What makes the Kwid even more desirable is the finance at an interest rate of 7.99 per cent (from Renault Finance) which is among the lowest in its class. The affordable maintenance and cheap cost of spare parts further amplifies the Kwid’s claim as a sensible, value-for-money car. Gaadi Opens 3 More Stores In Bengaluru! 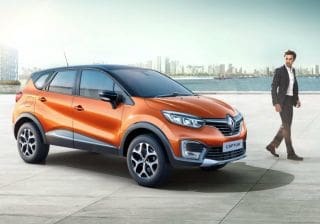 Renault Kwid 1.0-litre Service and Maintenance: Pocket-Friendly Ownership? Why Buy A Bike When You Can Own A Car!